Ms. Deepty Aggarwal, Head- Human Capital Division and Mr.Rishabh Kapoor, Channel Sales Head- Canon India were invited as Special Guestsfor the event. 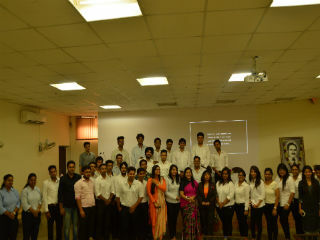 A warm welcome was given by seniors of PGDM-RM (2014-16)batch to their juniors. 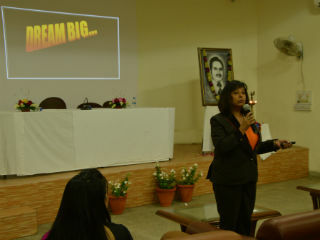 The programme was initiated by Ms. Surbhi Jain(Dean-RM) who shared the concept of ‘KASH’ ie. Knowledge, Attitude, Skills and Habits. She motivatedstudents to work on their ‘KASH’ to become job ready for Global market. Welcome address was delivered by Hon. 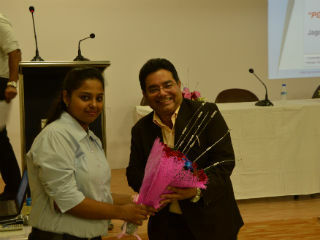 Dr. J.K. Goyal,Director who shared the concept of ‘Employable’ and ‘Being Employed’. Heemphasised how the team at JIMS would be working on making students employableand how students have to work passionately to get employment. Ms. Deepty Aggarwal enlightened students with career avenuesin Retail Industry and shared the roadmap of success in the world of Retail.Mr. 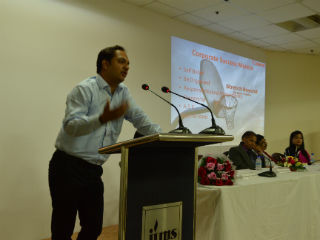 Rishabh Kapoor shared the success mantra for the corporate world andmotivated the new comers to be dynamic and passionate to succeed in marketing,sales and other streams of corporate world. 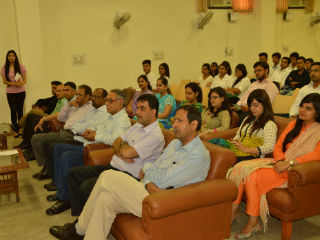 The second session was conducted by Retd. Liet. 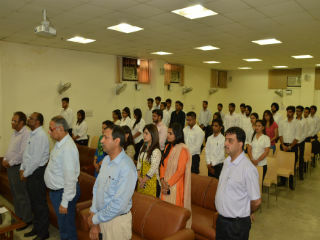 Ms. RitaGangwani, who conducted a workshop on ‘Finishing Touch for a Professional’ inwhich students were inducted about importance of grooming, personality andconfidence level. Post lunch a power packed workshop ‘Team Work makes theDream Work’ was conducted by Mr. Sumit Chaudhuri, where importance of teamwork was discussed andvarious activities were organised. 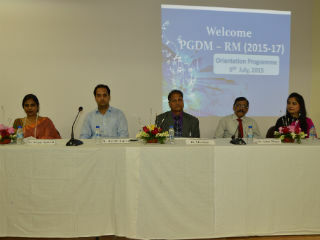 The next session was a panel discussion on LIFE at [email protected] by Alumni of PGDM-RM. Five alumni ie. 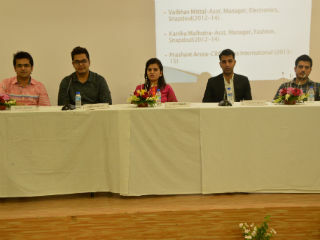 Mr. Gaurav Malik, BusinessDevelopment Manager, Stag International; Mr. Karan Lakhina , Entrepreneur; Mr.Prashant Arora , CRO , ETHOS; Ms.Vaibhav Mittal, BDM- Electronics, Snapdeal and Kanika Malhotra , BDM-Fashion , Snapdeal shared their experiences of journey at JIMS and after JIMS. 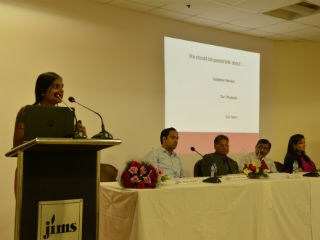 The last session was ‘Sharing of Academic Standards’ by Ms.Surbhi Jain (Dean- PGDM-RM) where she spoke of discipline, attendance and otherimportant rules to be adhered by students during the course of the programme.